Maharashtra Minister Demands Ban On Sanjay Leela Bhansali's Padmavati! Home BOLLYWOOD Maharashtra Minister Demands Ban On Sanjay Leela Bhansali’s Padmavati! A ban on Deepika Padukone, Ranveer Singh, Shahid Kapoor starrer ‘Padmavati’, which has been directed by Sanjay Leela Bhansali, has become a serious issue. Sanjay Leela Bhansali‘s Padmavati starring Ranveer Singh, Deepika Padukone and Shahid Kapoor is facing a huge controversy ever since the shooting of the film started. Political parties, cultural, religious groups are strongly against the release of the film. The situation is getting grim and has resulted in a ban at some places. Well, Sanjay Leela Bhansali’s film may not see the light of day in some states. As earlier we revealed, the film has been already banned in Madhya Pradesh and Punjab. Sorts of reports also suggest that J&K minister has also opposed the release of the movie. Now according to recent reports, Maharashtra Tourism Minister has demanded a ban on the screening of the controversial film in the state. Tourism Minister Jaykumar Rawal has written to Chief Minister Devendra Fadnavis demanding a ban on the movie if it distorted historical facts. Jaykumar Rawal has also written to CBFC asking to cancel the certificate of release given to the movie. The trouble for the film is increasing every hour. 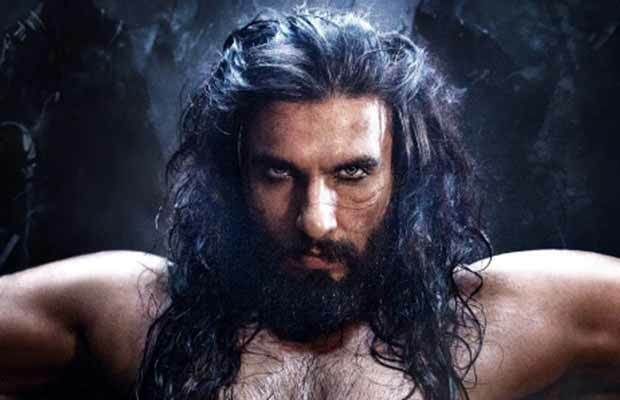 Karni Sena community alleged that the film depicts a dream sequence in which legendary Rajput queen Rani Padmavati is seen romancing Alauddin Khilji. However, the makers of the film have repeatedly assured that there is no such scene in the film. In fact, Deepika Padukone, during her visit on Salman Khan’s Bigg Boss 11, had made it clear that she clearly has no scene with Ranveer Singh in the film, who plays the role of Alauddin Khilji. Previous articleBigg Boss 11: Arshi Khan Claims Priyank Sharma Is Gay, Hina Khan Breaks Down! Next articleBigg Boss 11: Arshi Khan Makes Dirty Revelation About Hina Khan, Here’s What Happened Next- Watch Video!